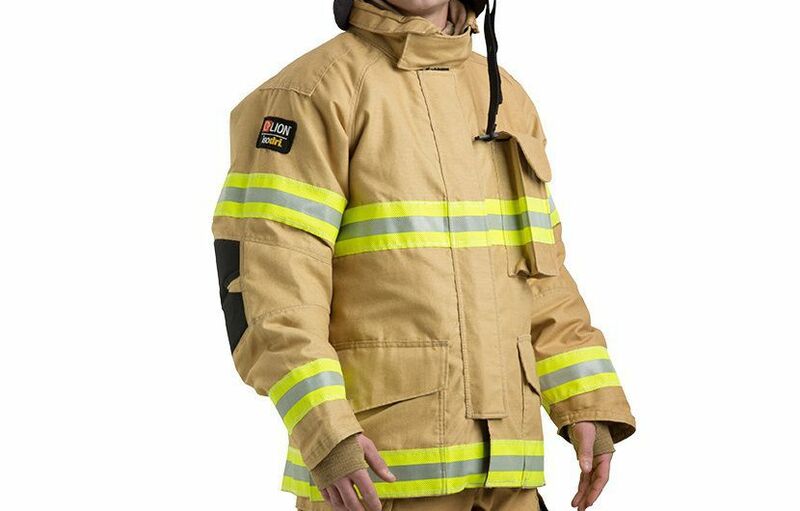 V-Force by LION is different than other firefighter turnout gear because of its unique cut and design. 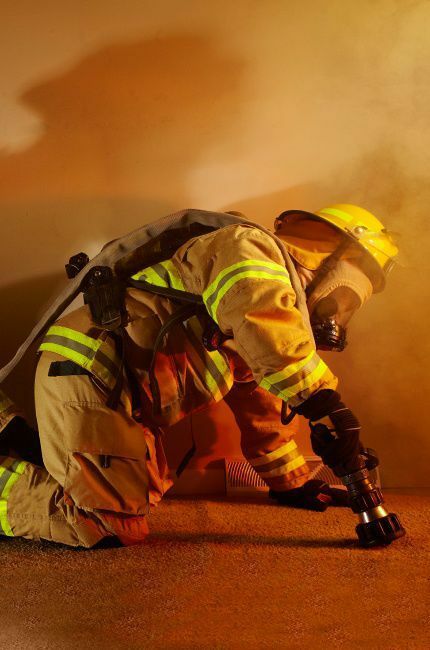 Professional sports and military technology combined to create turnout gear that provides the optimum balance of comfort, mobility and protection. 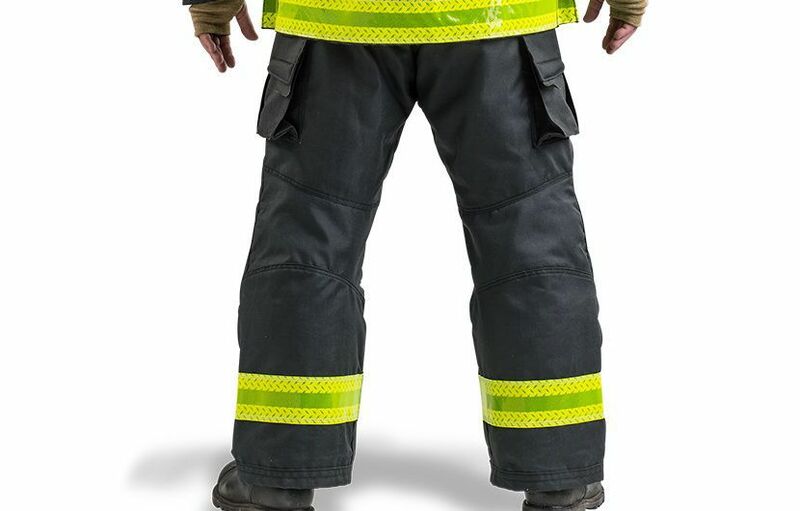 Unique pattern mimics the natural shape of the body to support natural movement and reduce firefighter stress and fatigue. 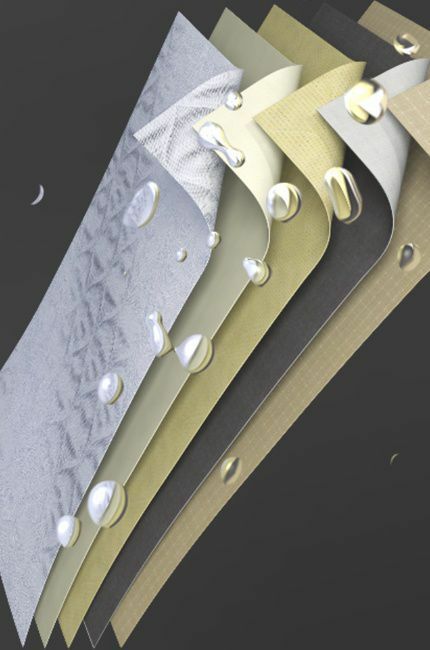 Standard with IsoDri® Moisture Management System. Absorbs less water and helps protect against compression burns, while having drier, lighter gear. Balances the weight of the turnout, so it moves with the body for complete protection. 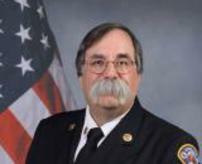 This coat is more comfortable than common firefighting coats, because it is cut much differently. The coat seams are not at the shoulders and sides, but at the back. Sides are contoured for less bulk, while raglan sleeves provide free movement. Find an even greater range of motion with the V-Force® Coat with Optional Bi-Swing Back. It features inverted pleats in both the outer shell and liner system that expand as your arms move forward. The result is no tugging, binding or bunching of material. A low-rise waist with belt loops and a 2-inch Kevlar® belt with a quick-release, thermoplastic buckle. Reduced front rise to sit comfortably on the hips like a pair of jeans without sacrificing thermal protection. The widened crotch gusset allows enhanced mobility, and the waist height reduces bunching and wear and tear from wearing pants too low. 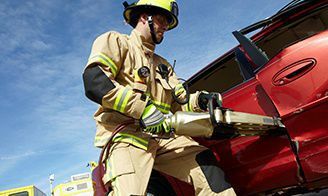 Orthopedically designed to provide adjustable mechanical support when lifting, bending forward, standing or performing emergency rescues. Offers a 5-inch back panel extension above the waist. A unique hook and loop support pad attaches LION’s V-Back™ Suspenders to the pants. V-Fit Elbows – allows unrestricted natural arm movement with cutouts, shaped pieces and darts. Contoured Sides – a tailored fit that moves with the body. Viz-a-V™Trim Pattern – A distinctive, high-visibility pattern that follows the body shape. 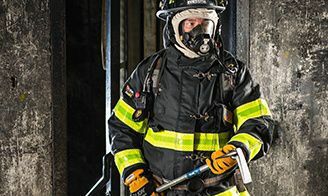 Comfort Collar (and optional Throat Tab) – designed for a smooth transition and comfort at the base of the neck, proper interface with other PPE and continuous thermal and moisture protection. Ever-Dry Reach System with Wrist Shield – Securely seals the coat to your wrist for no-gap protection. The thermal liner and moisture barrier travel with your wrist to minimize exposure to water, steam and flame. 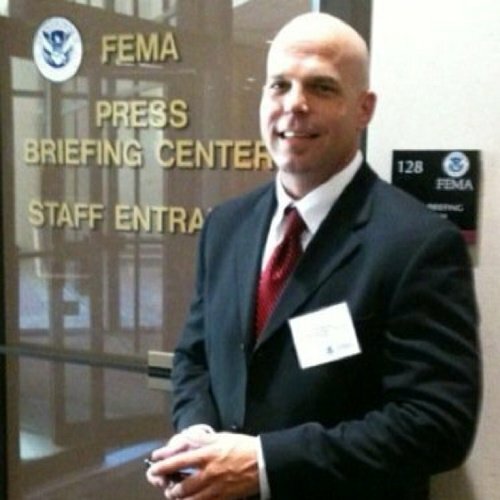 Semper Dri - Reduces water absorption in coat cuff waterwells and yoke. Extended Cuff - Extra length over back of hand for additional protection when reaching or pulling. Extra Yoke Thermal Protection - Semper Dri™ in yoke reduces water absorption and enhances thermal protection. 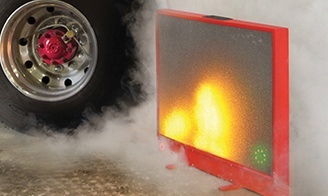 Streamlined Storm Flap - Reduces thermal build up, bulk and working weight. 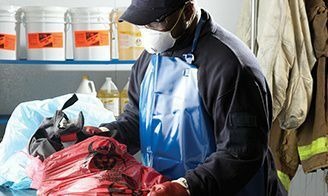 Zip-In Liner – quick and easy removal and reinstallation for cleaning and inspection. V-Fit Legs and Knees – offers free and easy movement via cutouts, shaped pieces, and darts. Radial Inseam – eliminates bulky crotch seams for comfort and can help extend the useful life of the turnout pants. Semper Dri™ - Repels water in the bottom of the pant to help keep working weight low and help prevent wicking of undesirable liquids up the pant. Kick Shield – helps protect high-friction area on pant. V-Force's innovative design features excel in working with the natural contours of the body, not against them. Pattern in all layers works together to enhance mobility and comfort. 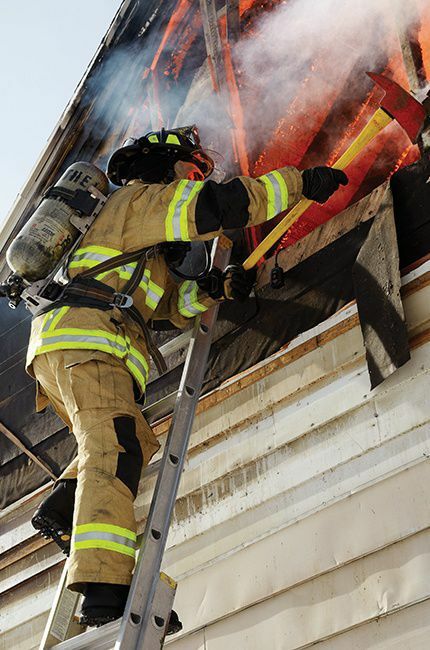 LION patented trim provides a conduit for the release of vapor and guards against the potential hazards of trapped moisture. Protects high-wear areas on coat cuffs, elbows, pant cuffs and knees. 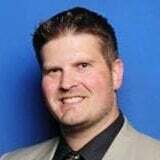 Easy complete liner inspections in coat and pant. Dual-Certified multi-purpose garment stands tall for most non-structural situations. 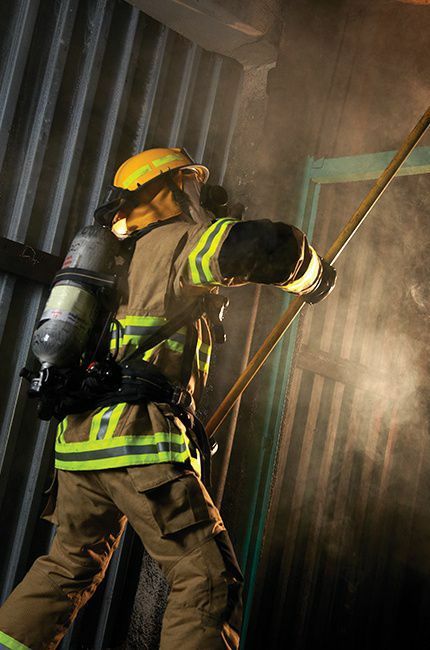 Leader in firefighter PPE cleaning, inspection, and repair that helps enhance your safety, and save your organization money by extending the life of your PPE. Full-featured turnout for better mobility with Freedom® Design to fit the way you work, providing outstanding mobility and comfort.